Courtesy of Susan Donovan Realty LLC. Do you ever wonder what makes the Jemez so appealing? Well step onto one of these wrap-around decks at this beautiful home and you will know instantly! Tucked away in a quiet area near Jemez Springs is this great getaway, within walking distance to the Jemez River and many other outdoor adventures. The living areas are warm and inviting, with a vaulted wooden ceiling with exposed beams, a lovely fireplace, wood burning stove and sliding glass doors that lead out onto one of the two decks with breathtaking views of Virgin Mesa. Cozy kitchen and open concept dining area. Two bedrooms on the main floor and two more downstairs in the finished walk out basement, with a bathroom on each floor. Don’t wait on this one, schedule your showing today. 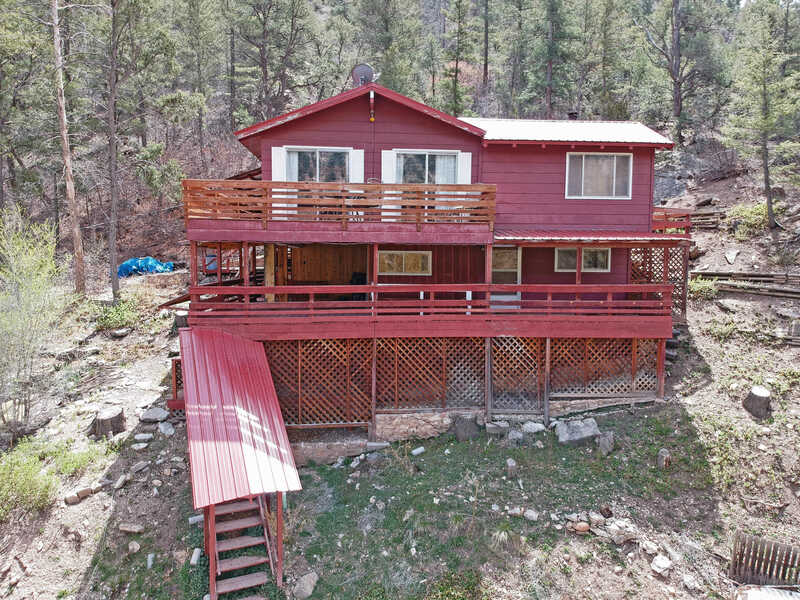 Please, send me more information on this property: MLS# 931352 – $200,000 – 56 River Drive, Jemez Springs, NM 87025. I would like to schedule a private showing for this property: MLS# 931352 – $200,000 – 56 River Drive, Jemez Springs, NM 87025.